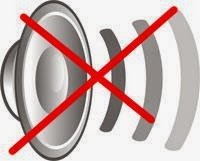 How to fix No Sound in Windows 7 Home Premium Edition? Before I give you my solution to Windows 7 Home Premium Edition No Sound Fix, lets make sure we are on the same page. My computer system is Compaq Presario SR1817CL Desktop PC. For audio output, I have AC'97. When I first installed my Windows 7, everything went well except for the sound. I went all over the Internet in search of fixes and there are plenty of them with different approaches and techniques. Being new to Windows 7 for the first time, I tried my best to follow their instructions and steps but nothing helped. In the process I may have screwed up my Windows 7 installation. However, all along there was a very simple solution to my sound problem. After messing around with Windows 7 for about 2 hours, I learned that you CAN'T trust what Windows 7 says that it did or is doing. You should always try to enable or disable a process or function to see if the system is STILL having problem. What do I mean by that? Well, since my system was having sound problem, I saw the typical signs. Windows 7 itself searched online for sound driver for my AC'97 output and it kept reporting that it can't find any driver. I tried to look for sound driver for my computer on the manufacturer website myself and still can't install it. 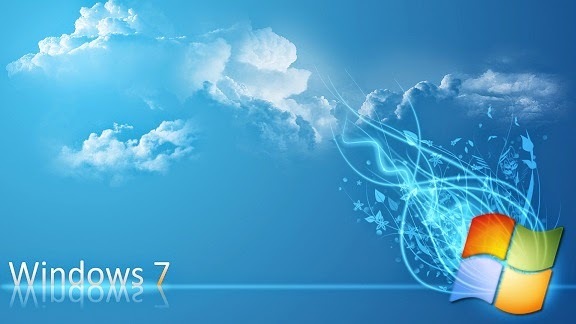 So, I ended up shifting through more websites and then I came upon a piece of information on Windows 7. That is even if your system says no sound driver found or can't update driver, try enabling and disabling the component and then try updating for the driver. So, this is what I did. I opened my control panel-->device manager. There in the tree view window look for device in the list with yellow warning triangle. Yours might be under OTHERS or Sound, Video and Game controller category. Right click on it. In the popup menu first click on DISABLE and then ENABLE. At this point, Window 7 might start to automatically search and download driver. If not, click on the UPDATE DRIVER SOFTWARE option. Then, another window might open asking if you want to yourself search or the system search online for driver. Just have the system search for the driver. At this point, it should successfully download and install the sound driver and you don't even have to reboot your computer system. For me as soon as it got done installing the driver, my speaker icon red X disappeared. I HAVE SOUND NOW!!!!!!!!!!! This is what I did and it worked for me and I hope it does for you too. Thanks for visiting my blog. How to install VitrualBox Guest Addition (VBoxGuestAdditions.iso) on Linux (Ubuntu)? Honestly, I have to say that I never ever spent this long trying to install a simple ISO file before. I went through so many self-help forums and websites still couldn't get the Guest Addition installed, but there is obviously a simple solution, which I overlooked. The reason I wanted to install guest addition to my VirtualBox was because my virtual machine wouldn't go fullscreen but acted like it was only 1078x768 or something. Here are the steps in installing Virtual guest addition (VBoxGuestAdditions.iso) on Linux (Ubuntu). 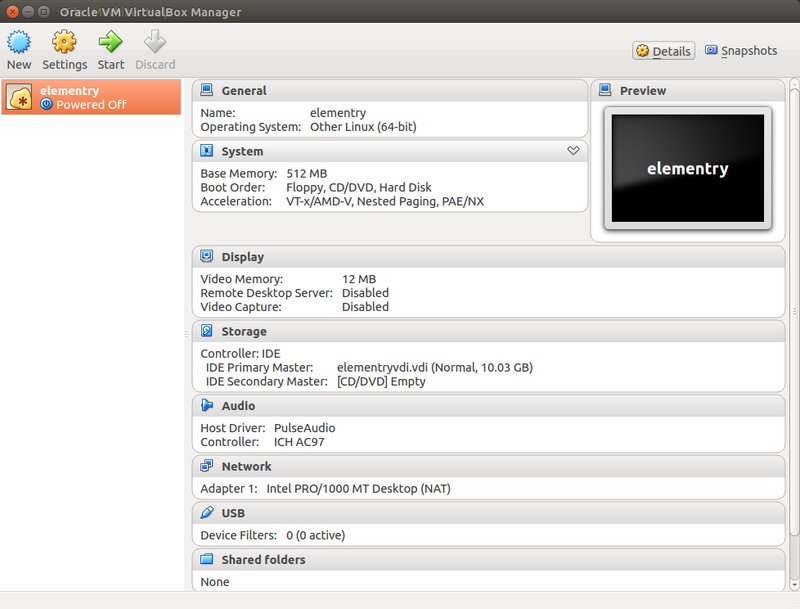 I am using VirtualBox 4.3.10 for Linux. Before you begin, you must have already created a virtual machine using an operating system of your choice as shown below. I installed Linux Elementary OS. Start your virtual machine(VM) by clicking on the start button. Once it is up and running click on the Devices pull down menu on your VM. In the bottom of that pull down menu, you will see an option "Insert Guest Additions CD Image..." Click on it. At this point, VM will either tell you that you don't have Guest Additions Image and if you want to download it now. Just go ahead and click on the download button, but if you still have problem, then you need to download Guest Additions ISO image yourself. Then, follow this step. If everything went well you probably won't see anything or even a confirmation saying that Guest Additions is installed. What that means is that it didn't install guest addition yet but you have only mounted the ISO file. 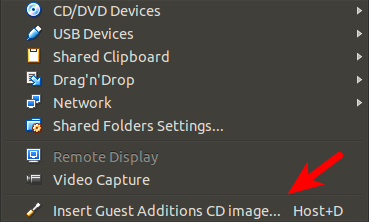 Now, if you were like me who ran into "Can't mount Guest Additions Image," then you probably already have Guest Addition Image opened or linked to your VM. Then, you should move on to the next step, but make sure VBoxGuestAdditions.iso is linked to your VM by going to VM->Settings->Storage->Store Tree Listbox. Another way to verify that you have successfully mounted your Guest Additions ISO file to your virtual machine is by opening the VM folder and file explorer like dolphin. Once it is opened, you should see VBoxGuestAdditions.iso listed on the left hand side. Don't close the dolphin file and folder explorer yet. Leave it open for you will be using it in the next step. Now, click on the VBoxGuestAdditions.iso mounted image listed in the left-hand side in the Dolphin files and folders explorer in your VM. When you do that, on the right-hand side Dolphin will display all the files and folders within VBoxGuestAdditions.iso. You will see bunch of .exe files and linux related files. If you are like me running Linux on your VM, then you should look for VBoxLinuxAdditions.run in the list. Now, VBoxLinuxAdditions.run is the file you need to run to install Guest Additions ISO image for your VM. To run the file, first you need to find its absolute path to the file. So, right click on the file and click on properties. Just copy the direct path shown on that popup window. Then, open a terminal window. There type in the following after the prompt sudo ./your-direct-path-to-the-file/VBoxLinuxAdditions.run. Then, hit enter. At this point, it will ask you to enter the password. After that, it will run through the installation. After installing VBoxGuestAdditions.iso, you will need to shutdown and restart your VM for Guest Additions to be applied to your VM. That's all. Now you should see your VM fullscreen.